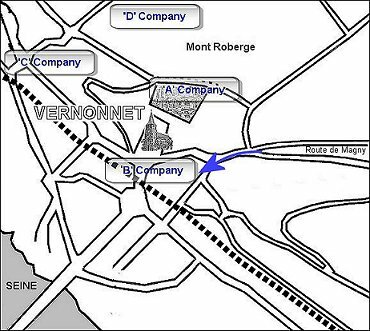 By 16.00 hours (26th August) the Worcesters were finally established on their objectives in Vernonnet, and the M.T. 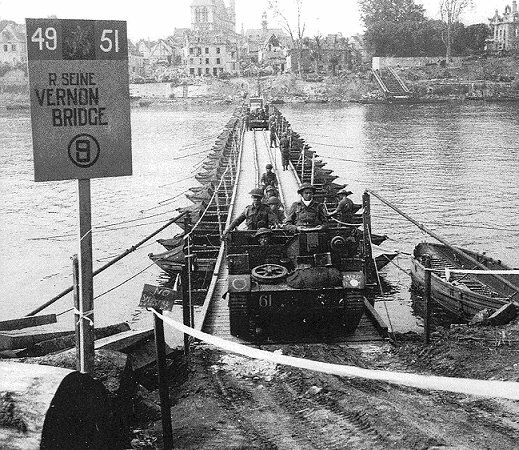 (Motor Transport) crossed at last light by the Class 9 Bridge, code named “David”, which had now been completed by the sappers. During the course of the afternoon ‘D’ Company continued moving forward over fields and small wooded areas into open country, during this period our own artillery were firing smoke shells which were meant to be in front, but the smoke containers were falling among the men of ‘D’ Company. After passing what looked like a disused factory their objective was finally reached. 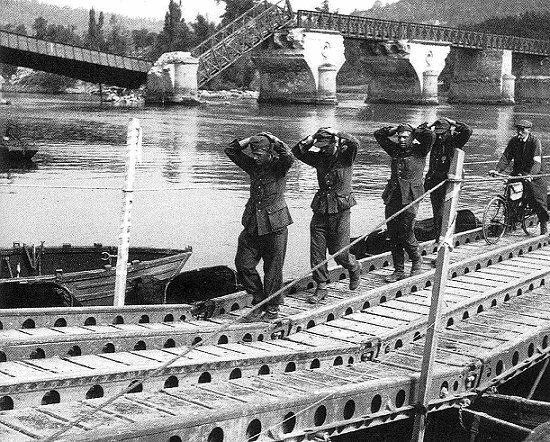 16 Platoon who had been leading dealt with some small arms fire by retreating Germans. The men then settled down for the night in shallow slit trenches - most of the night there was torrential rain. 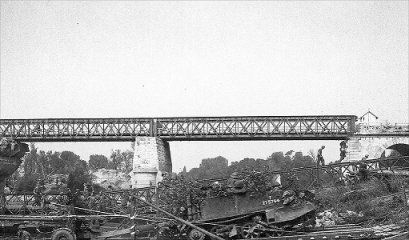 At about 21.00 hours on 26th August the 1st Worcestershire reverted back to the command of 214 Infantry Brigade in preparation for further operations for enlarging the bridgehead the next day. Lieut.-Colonel Robert Osborne-Smith was instructed by Brigadier Essame to advance the battalion up the Gisors road and capture the village of Tilly. 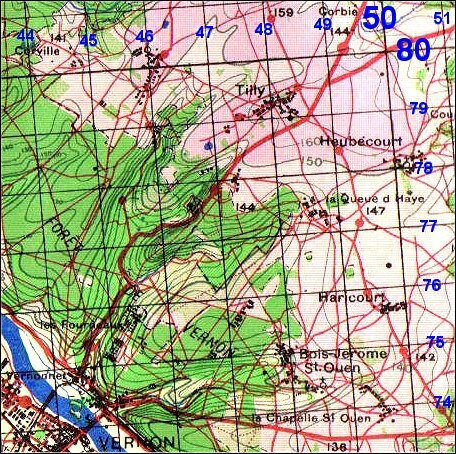 From information obtained from patrols during daylight, it appeared that La Queue D'Haye (map reference 4877) and the leading to it (map reference 461767) were clear of the enemy. No patrolling other than close patrolling was possible during that night owing to the very close nature of the country, the inky blackness of the night and the torrential rain which fell. Any map references used in this and other parts can be identified on the above map. Note: It is interesting to note that due to the small scale of the map is was quite difficult for officers on the ground to accurately locate objectives and this led to ‘B’ Company going the wrong way initially.